We have been busy building up a collection of awards since the company's inception in 1990. At the annual Industry award ceremony, the very best of Ireland’s printers, both North and South, are judged for quality of printing and finished product and Impress Printing Works has been selected more than most for the coveted awards. 2012 Finalist Books Category "Celebration of Irelands Nobel Literary Heritage"
2008 Short listed for carton packaging award. 2006 Outright winner books category and "Print of the Year" for book title "To Super Rural"
2005 Outright winner in finishing for Nokia Wallets. 2004 Martin Gale Paintings book category. 2002 Sponsorship of IDEA awards. 2001 Award for Land and Language books category. 1998 Awarded IQNET Quality System. 1996 Award for DHG stationery, leaflets, brochures. 1995 Award for Aer Rianta brochure. 1994 Award for Ardagh Annual Report. 1993 Award for Waterford Food Ingredients brochure. 1993 Award for Gallaher Folder and Inserts. 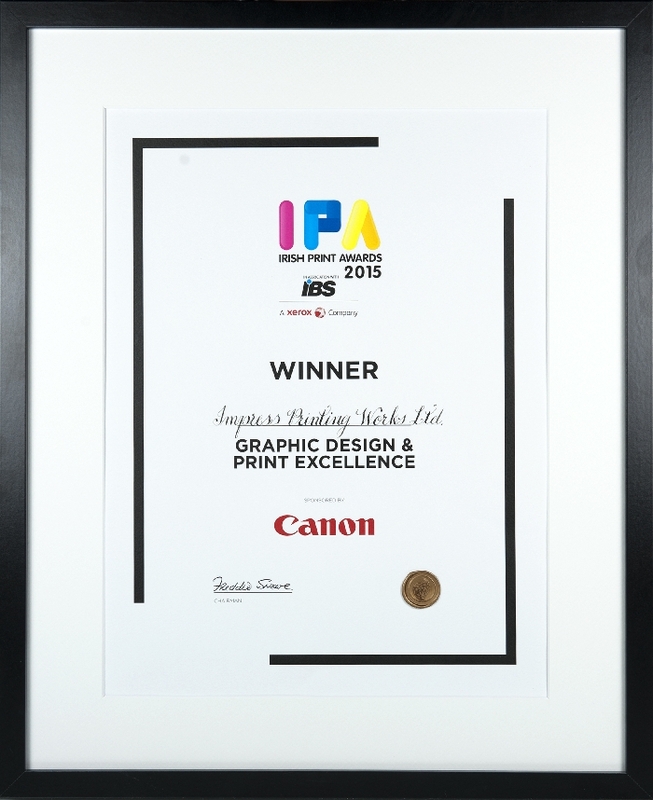 These awards recognize the dedication of staff and management of Impress Printing Works to quality, and the ability to achieve the most intricately designed jobs.